IoT and Blockchain: Will the Marriage Work? Planning out a decent marketing strategy for B2B organizations has been a challenging task to accomplish. With marketing techniques changing rapidly and new channels emerging in the market to add more flair to the B2B marketing, it is almost impossible to keep up with them. However, it is a known fact that majority of the B2B companies appear to be on the dubious side when it comes to accepting new strategies in the market. What’s more important is the fact that the word-of-mouth is stable and direct marketing and digital marketing, more importantly, has gained significance. Digital medium now consists of nearly half of the B2B sales increment. In a particular way, these significant amendments if changed have severe consequences in dealing with the critical customers. 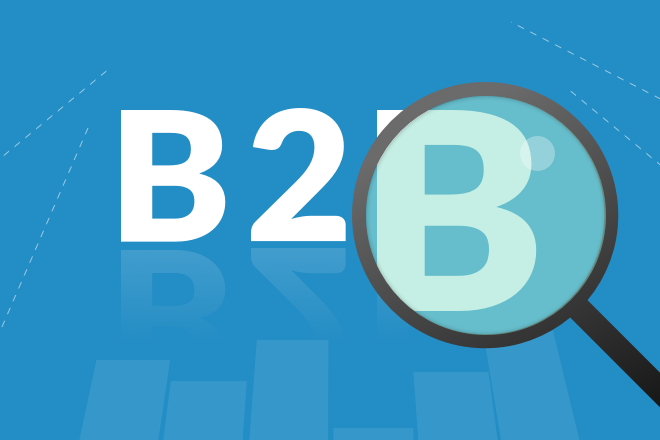 These days, many B2B channels can be looked in. Also, it is estimated that channels for digital marketing have considered being successful for most of the B2B organizations in the past while it has turned out to be unsuccessful for offline marketing, with the only feasible exception for event marketing. After conclusive research and understanding, below are the most important digital marketing channels as proposed by the top B2B organizations across the globe. As per the research conducted by the Chief Marketer, it is estimated that email is considered to be the best channel for B2B marketing and generating leads. Nearly 62% of the marketers believe that email is the most important place to attain leads, and almost the same numbers of marketers believe that email supplies the top investment return. It is cost-efficient. To generate maximum number of leads, no one can surpass the email. In email marketing, you have unlimited options to send numerous emails without any extra overhead. It can be tracked. Distinctive opens can be recorded; clicks and websites can be recorded and stored easily. Emails can be repeated easily. Automation marketing software is an ordinary software which is used in correspondence with the B2B emailing and marketing. Automation software’s help businesses structure the most customized content which helps in changing the potential targets into customers and then turning those customers into satisfied customers. This technique is usually applied through email marketing and naturally sent to the respective clients for development. The website of a company is usually considered as a business card for the entire world. However, it is regarded to be just more than that. A website is known to be the most important and most productive digital B2B marketing channel with nearly 81% of the respondents accepts the fact, as of the survey conducted by Regalix. Any business organization having a website, whether small or large, represents the identity of all the digital marketing campaigns and portrays the real character of the organization online. The true worth of any website is estimated when it can generate various methods to expand the traffic and make lead through SEO (Search Engine Optimization), blogging, handling customized pages, etc. Live events are considered to be a top strategy for generating leads among B2B marketing endeavours. According to a survey by MarketingProfs, nearly 50% of the B2B marketers plan out a budget for live marketing. These events have trade shows and marketing events. They bring the people closer. They can be private and public both. They are lively and bring out the best among the people. Because of the hurdles in demonstrating ROI coming from the social media, plenty of B2B organizations create pages to attract interest from the customers or clients with zero strategies. It is essential to realize that many of the social media channels are unable to generate leads like they used to. Therefore, a thorough strategy is needed with a desire to attain what social media platforms could pitch in. When it comes to the objectives, the organization has to decide what precisely it wants. It could be from generating leads to the brand familiarity. Once it is described, you will be able to experience the pure form of social media marketing. Targets on the latest trends being followed on social media platforms in digital marketing. Constructs on current marketing trends and resources. It uses the organizations all digital channels – social, email and website. A sizeable number of respondents are genuinely committed to following their audience religiously and offer mobile application services. While the percentage is relatively low with nearly 17% of the organizations using mobile applications, the percentage has gradually increased to what it was a couple of years ago. With the expansion of mobile applications and technology, the percentage is expected to grow. However, almost 26% of the respondents hinted that they are planning to use mobile applications to lure their customers for B2B strategy in the next few years. It enhances the content available for website. It attracts leads as per the searches are done through SEO. It has significant benefit of the occurring content. The trends in the digital market change at a rapid rate and it is quite important to know about the latest marketing trends and using the marketing strategy by it. Having ample amount of knowledge for the market and B2B channels can help your business expand and turn your investments into profit.